Any list of the top American gun designers really must include Bill Ruger. Some of Ruger’s designs—like the Blackhawk, 10/22 and Mark I—set new standards for accuracy, safety and reliability in their respective classes. Ruger knew how to dress up a firearm to make it both eye-catching and functional—guns like the M77 Mark II Safari rifle that combined the look and feel of London’s Bond Street big bores with the functionality of a controlled round feed action at a fraction of the price of Rigbys, Purdeys and the like. The No. 1 falling block, which some called outdated at the time of its release, has developed something of a cult following. But perhaps the most overlooked of all Ruger’s contributions to the world of modern firearms are his developments to improve the design of the double-action revolver. In the early 1970s Ruger developed his Six series wheelguns, a family that included the Security-Six, Speed-Six and Service-Six. All these guns featured investment-cast frames, transfer bar system and a coil spring design. 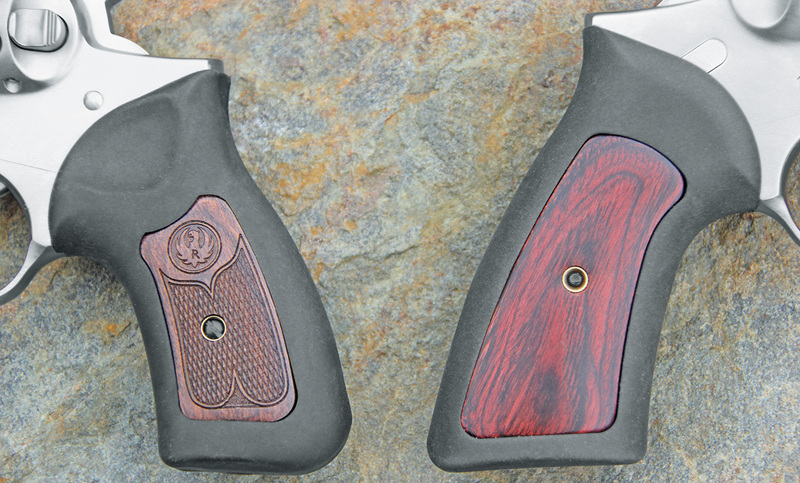 The Six firearms were standouts in the popular double-action market in the 1970s and ’80s, but by the mid-’80s Bill Ruger was looking to improve those designs. Specifically, he wanted a slightly larger medium-frame revolver that was robust enough to handle round after round of the hottest .357 Magnum ammo available. In addition to the cylinder bolt and rear of the extractor, the GP100’s cylinder locks up in front at the crane. It’s a robust setup that can handle magnum pounding with ease. Enter the GP100. But the GP100 was more than a beefed-up version of the Six revolvers. For starters, these guns offered a new Triple Locking design that held the cylinder in place. There’s a lock in the frame at the crane as well as a lock at the ejector rod and a bolt at the bottom portion of the cylinder that prevents cylinder rotation when it is engaged. Additionally, the GP100’s shorter, stubbier grip post allowed for a wide variety of different grips to be installed, a departure from the traditional full-frame design found on many double-action revolvers at the time. The GP100 was, and is, available with fixed or adjustable sights and in either a blued or satin stainless finish. Additionally, these guns were, and are, affordable. I’ve got a soft spot for the GP100. My father has a six-inch stainless model that a gunsmith tuned to near-perfection, and it was the first centerfire revolver I ever fired. It’s still one of his favorite guns, and it still appears to be a fresh-from-the-box gun despite years of hard shooting. And my dad isn’t alone in his appreciation for the GP100’s many attributes. There are a number of shooter who still consider these guns to be among the finest medium-frame .357 Magnum wheelguns ever offered at any price point. The cylinders of the new GP100s hold seven rounds of .357 or .38 ammo—making them capable and reliable guns for home defense, trail use or, in the case of the shorter versions, concealed carry. Ruger has made minor changes to the GP100 over the years, offering it in various calibers and designs, including the Match Champion version that debuted a few years back. 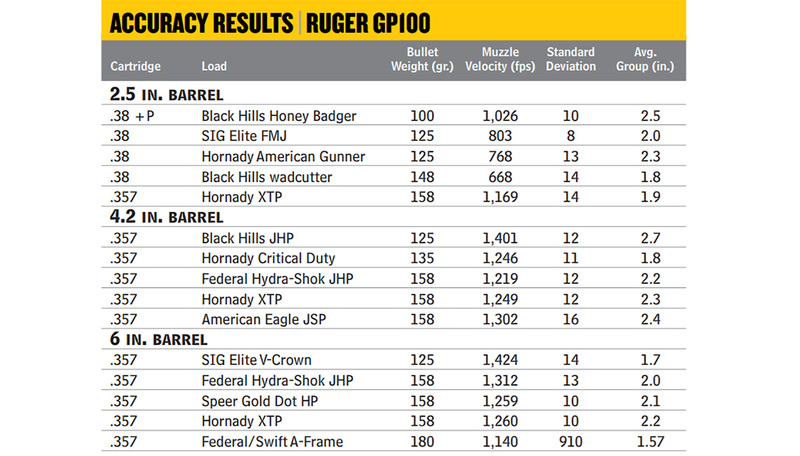 Most recently, Ruger upped the ante by adding an extra round to the GP100’s beefy cylinder. There are three barrel lengths available with seven-shot cylinders—2.5, 4.2 and 6 inches—all in satin stainless with Ruger’s trademark elastomer rubber grips with hardwood inserts. I had a chance to test all three versions with various loads ranging from mild-mannered .38 wadcutters all the way up to hot .357 Magnum loads for defense and hunting applications. Each gun was subjected to the standard test protocol of five five-shot groups with five separate loads, and each of these guns has its own personality and primary purpose. The shooting world is flush with ultra-light, ultra-compact .357/.38 revolvers for personal defense. In this smaller-is-better universe the GP100 2.5-inch seven-shot is a behemoth, weighing in at a stout 33.7 ounces on my digital scale and measuring roughly 5.5 inches tall with an overall length of eight inches. The cylinder measures just under 1.4 inches wide, so this wheelgun has specs more closely resembling those of a full-size 1911 than a tuckable carry revolver like Ruger’s LCR. But if you’re into carrying a revolver for defense against two- or four-legged predators, the GP100 seven-shot 2.5-inch has some real advantages over smaller .357 revolvers. The Triple Locking cylinder is one of those. I owned a compact .357 revolver for backup that gave up the ghost and allowed the cylinder to spin freely after a few hundred rounds of .357 ammo, which is a pretty terrible feeling when it’s the gun you’re counting on to save your life. The Ruger’s time-tested system is durable and solid, so there’s less chance that you’ll have to deal with such shenanigans. Medium-frame guns are harder to conceal than ultralight revolvers but are much more pleasant to shoot since the grip is larger and there’s more bulk to help mitigate the muzzle rise from hot .357 defensive loads. 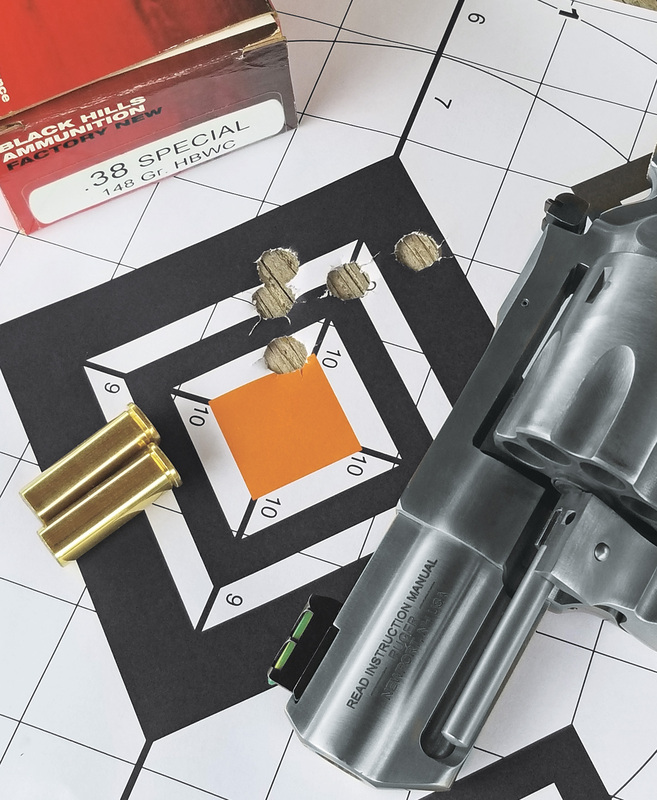 Sure, muzzle blast is more pronounced with this shortest of all GP100s, but it isn’t an unpleasant gun to shoot, and for a compact revolver, it’s relatively accurate. The accuracy is due in large part to the fact that this revolver comes equipped with real, functional, adjustable iron sights. Instead of the austere channel-and-post sights found on most pocket revolvers, the GP100 2.5-inch seven shot has a windage- and elevation-adjustable white-outline rear sight and a front sight with a green fiber-optic insert that is dovetailed into the solid top rib. 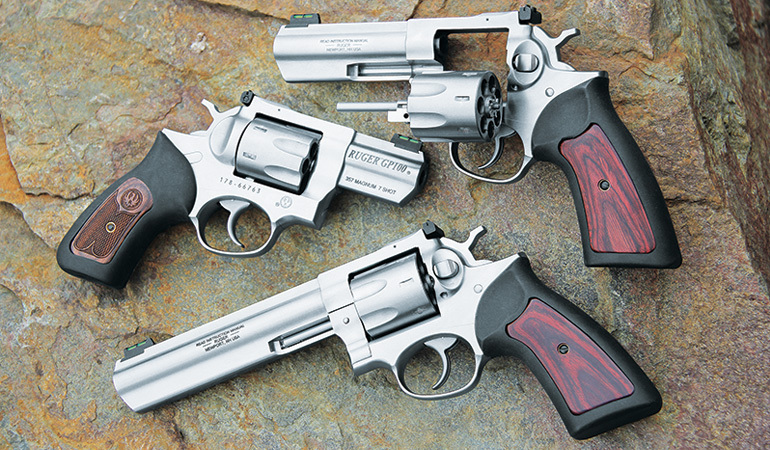 Last, the Ruger offers at least one and perhaps two more rounds than you’ll get from the smallest defensive wheelguns. In single-action mode the trigger on the test revolver broke at 4.2 pounds on my RCBS scale, and in double-action mode it broke at 10.4 pounds. There’s minimal stacking in DA mode, and the trigger guard is large enough to be accessible even with gloved fingers. From 15 yards the 2.5-inch GP100 was capable of good accuracy, certainly on par with or better than most carry revolvers. At 15 yards the average groups were respectable for a revolver with such a stubby barrel, ranging, on average, from 1.8 to 2.5 inches. At roughly 45 feet those are pretty good numbers for this class or revolver, and the 2.5-inch GP100 really shines when shooting offhand at defensive distances. The double-action trigger pull is rather long, but in single action it’s crisp and smooth. The gun’s weight and large grip make it easier to deliver fast follow-ups than with other, smaller defensive handguns, and although this gun will be noticeably more difficult to conceal than more compact revolvers I can assure you that anyone—new shooters in particular—will appreciate this wheelgun’s manageable demeanor. If you’re looking for an open carry defensive revolver and don’t want to step up to a larger four-inch gun, this model is a sensible option. It should also be noted the 2.5-inch version comes with smaller grips and panels than the 4.2- and six-inch versions. It may aid in concealment and makes the gun look more proportionally correct, but there’s still plenty of grip on this smallest GP100. Suggested retail on this and the other new seven-shot GP100s is $899. The 2.5-inch model (l.) has a slightly smaller grip than the two larger versions. Still, the rubber grip on the 2.5-inch model provides plenty of room for even the largest hands. There was a time not so long ago when four-inch .357 revolvers were the gun of choice for law enforcement agencies, and the Ruger shows that the midsize, medium-frame revolver is still a solid choice for personal defense. I think it’s safe to say it’s oversized for daily concealed carry, but at 40 ounces this gun isn’t so large it’s cumbersome to carry on the hip. The 4.2-inch barrel gives the gun an overall length of roughly 10 inches, and the extra length stretches the sight radius for improved accuracy. Like the other GP100s in the test, the 4.2-inch comes with a full-length underlug that’s machined to the barrel. All these guns feature the same sight setup with screw adjustments on the rear sight. The 4.2-inch comes with the same full-size grip you’ll find on the six-inch model. This adds about a half-inch to the overall height of the 2.5-inch model, and the extra height offers additional space on the elastomer grip for very large hands. 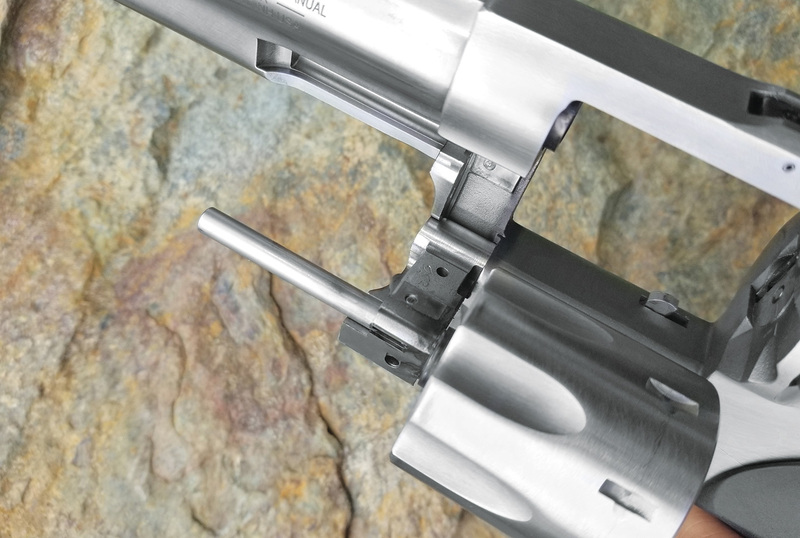 And just like the other guns in the test, the medium-sized frame offers plenty of space to keep your thumbs well away from the cylinder gap when firing. The 4.2-inch revolver rides the fence between the stubby 2.5-inch and the hefty six-inch version, and it might well be the most versatile revolver of the bunch. 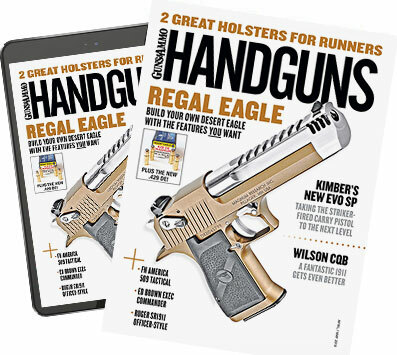 Weight is still manageable for all-day carry, and the barrel clears the holster noticeably sooner than the larger six-inch model. But the 4.2-inch model offers better accuracy at extended ranges and higher velocities than you get from the short 2.5-inch gun while retaining some level of portability. The best group average at 25 yards measured just 1.8 inches, the same as the 2.5-inch model at 15 yards. Velocities were higher, and muzzle rise and blast were less thanks to the longer barrel. The 4.2-inch model also offered the best single-action trigger pull at 3.8 pounds, and double-action trigger weight was 10.6 pounds. With its long pipe, the six-inch GP100 offers the best velocities and produced the smallest average groups, and recoil even with the hot .357 Magnum loads was so manageable even new shooters could handle it. Forget carrying this pistol concealed, though. It weighs 45 ounces and measures 12.5 inches long, so this revolver is best suited for target practice and field carry or hunting, and it excels in those roles. The .357 Magnum’s effectiveness on deer is a matter of opinion, but many hog hunters like the round (and they’ll really like having one more shot available). Hound hunters who pursue cougars will find that the six-inch Ruger’s added sight radius and increased power thanks to an uptick in velocity serve well. But even if your ambition isn’t to follow a pack of lion hounds through steep canyon country, you’ll still appreciate all this gun has to offer. It makes an excellent trail gun, with .357 Magnum power to take on most any threat you’re likely to encounter when hiking or camping. It’s a pussycat with .38 Special loads, and it’s accurate enough to punch paper targets, pop cans and metal plates all day long. Like its brethren, the six-inch gun comes in stainless with a satin finish, and that’s a good thing because while testing this gun the skies opened and gun and shooter were caught in a torrential downpour. A wipe down was all that was needed to bring the Ruger back to its previous state. Also, the Ruger grips, which some shooters love and some don’t, work very well in wet weather. This model favored Federal’s 180-grain hunting load, averaging just over 1.5 inches at 25 yards in terrible conditions. But the six-inch shot every load relatively well, with two of the five loads averaging under two inches and the other three striking close to that figure. The six-inch Ruger, like the two guns listed earlier, showed no signs of wear, and there were no issues with operation. These guns are, pardon the pun, bulletproof. If you’re a revolver fan, you won’t be disappointed when adding one, two or all three of these guns to your collection. 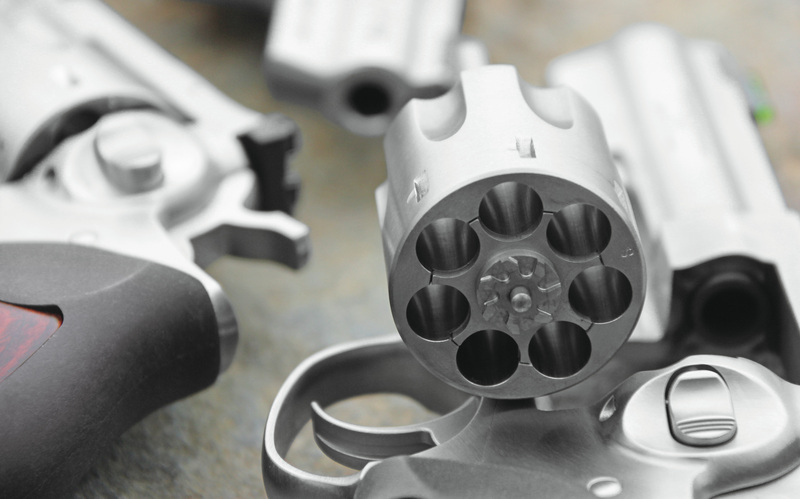 If you’ve grown tired of polymer guns and you’re in the mood for something built from solid steel, you’ll love these revolvers. And Ruger has managed to up the ante on an otherwise great gun by making room in the cylinder for one additional round. Barrel: 2.5, 4.2, 6 in.